Happy Friday! Each week, Friday Thrive rounds up some of my favorite articles, gear, and more from the week. Here’s this week’s! We needed a second running leash, so I went onto Ruffwear’s website to order the same leash we have for Ollie – the Slackline leash. I was so excited to see that it had been updated to fix the one feature I did not care for – the waist clip – for a more secure buckle. 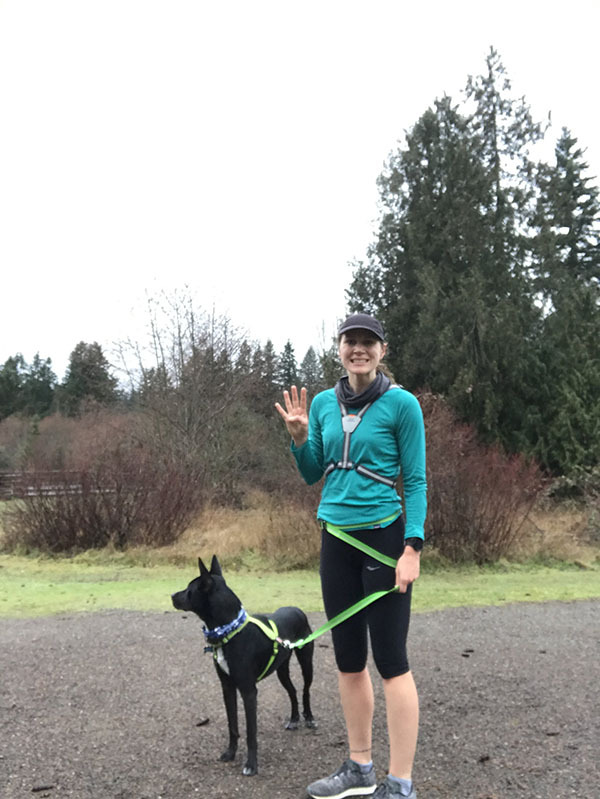 The new leash worked like a charm for a quick progression run with Ollie yesterday: it felt secure on my waist and the adjustment did not budge even when he tried to sprint in pursuit of some birds. (The older leash will be used for Charlie, who does not pull nearly as hard as Ollie does). I have been alternating between the Saucony Kinvara 8 and the Saucony Freedom ISO. The Kinvaras were my primary shoe for long runs, hard workouts, and races and I wore the Freedoms on my easy runs. Lately, though, I’ve been reaching for my Freedoms for more runs. The soles are grippy, providing fantastic traction (especially as the January rains have commenced), the fit is snug without being restrictive, and the shoe is simultaneously minimal and energetic yet cushioned. The price tag is higher than most shoes, but I’ve worn this shoe through marathon training and have not noticed any significant wear. My newest fascination is skijoring. Skijoring consistents of harnessing your dog to your waist while cross-country skiing…almost like a dog sled/cross-country ski combination. There are actually skijoring trails at some of the Sno-Parks nearby! If the gear wasn’t so expensive, I would probably do it with Ollie. I think he would love skijoring! But for now, I’m going to stick to dog-free skiing. We have our second ski lesson this weekend and, next month, we are venturing back down to Bend, OR for a weekend of skiing, craft beer drinking, and running. 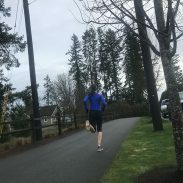 Winters in Seattle are humid (this week, the humidity was 90-96% on my morning runs). And while I may gripe about the humidity, I have realized it does make winter running easier. When Ryan and I were running in the cold and dry air of Saint Louis last weekend, I found the dry air more uncomfortable than the bitterly cold temperatures. This article covers the basics but serves as a worthwhile refresher. I saw it on Facebook before we headed out for our very cold and dry run and remembered to cover up my mouth with my Buff to humidify the air as I breathed. It’s the little things that make a difference when running in the cold! I’m not a fan of restrictive New Year’s diets. This article from Runner’s World – The Food Resolutions You Should be Making” – offers a breath of fresh air from the normal weight-loss oriented resolutions. 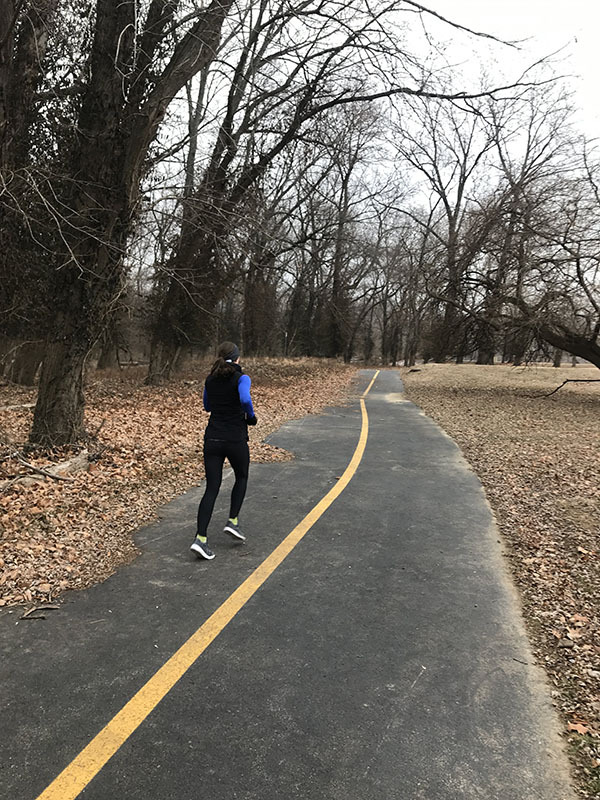 The suggestions including nailing your long run nutrition, removing Instagram accounts that leave you feeling bad about food, and eating enough carbs – all things that we as runners should focus on to perform and feel our best. 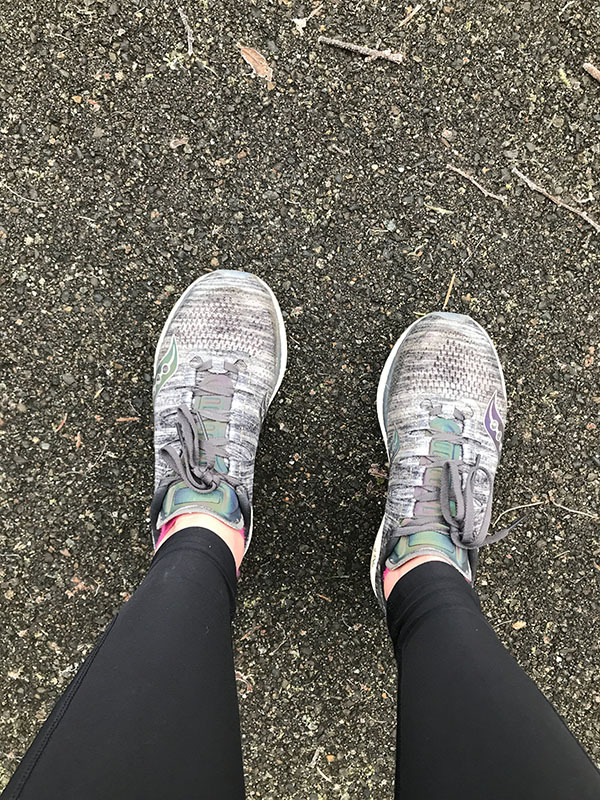 What shoes are you running in currently? When we had our really cold weather last week I was covering my mouth with my buff and it definitely made a difference. For shoes, Ive been rotating between the Pure Flows and Levitates. Ive wanted to try the Freedom ISOs for awhile but they do seem a bit more expensive than most running shoes! The Freedom ISOs are expensive, but so far they have lasted a long time so the durability makes the price a bit easier. I might get a full 6 months of training out of them at this rate! You would absolutely LOVE skijoring! I’ve never done it but I have friends that do. Do it! I have visions in my mind of going way too fast as Ollie sprints, but it sounds so fun! That’s awesome that your friends do it! I hope you were able to get in at least some good skiing! Ours was so slushy and warm this weekend! Where is the good January cold in the mountains? It must be a cattle dog thing – Ollie has nearly dragged me when we run in pursuit of a squirrel! Skijoring sounds intriguing…if I had a dog. 🙂 My current shoes are Brooks “xxxx”. Unfortunately, I cannot give the model name right now. Your upcoming weekend in Bend sounds magnificent! Thank you! I’m really hoping they have good snow down there! 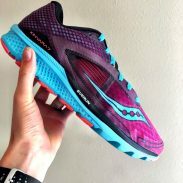 you have to try the Saucony rides – I’ve been running in them as my alternate for a few years but the ride 10 is amazing – I dont even know if something really changed but they are so soft, light, and cushiony. Whatever Saucony has done to their shoes lately is amazing! I’m not as crazy about the Kinvara 8s, but part of that is because I really like the Freedoms so much. I’m glad the new Rides are working out for you! There’s also horse skijoring! I happened to run by a competition going on in one of our local parks last year. Since even regular skiing is too much of an adrenaline rush for me, I’ll stick with watching skijoring. Horse skijoring almost sounds scarier – horses are strong!